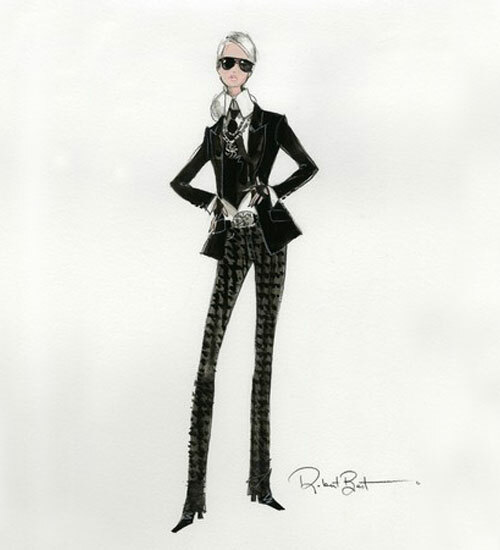 Even though Lagerfeld's style is very masculine, it translates well for Barbie. This doll is yet to be released, but the sketch gives us an idea of what to expect. The doll will be part of Barbie's collector line. This means that the doll and all of its accessories will be exquisite. It also means that there will be a limited quantity released, and the price will be high. Can you say, "Bada** teddy bear?" 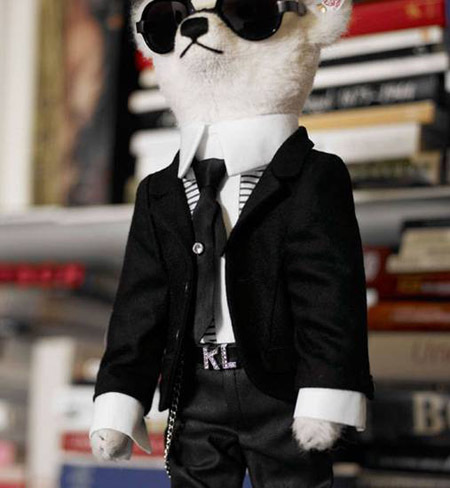 This little white bear puts on the same airs as Lagerfeld himself! Notice how the snout is just ever so tilted upwards. Hilarious! 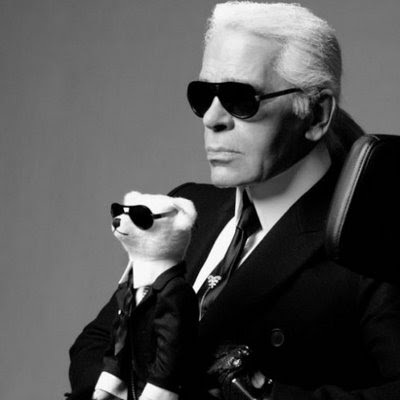 But, you must truly adore Karl to own this little guy. When he was in stores, he retailed around $1400! 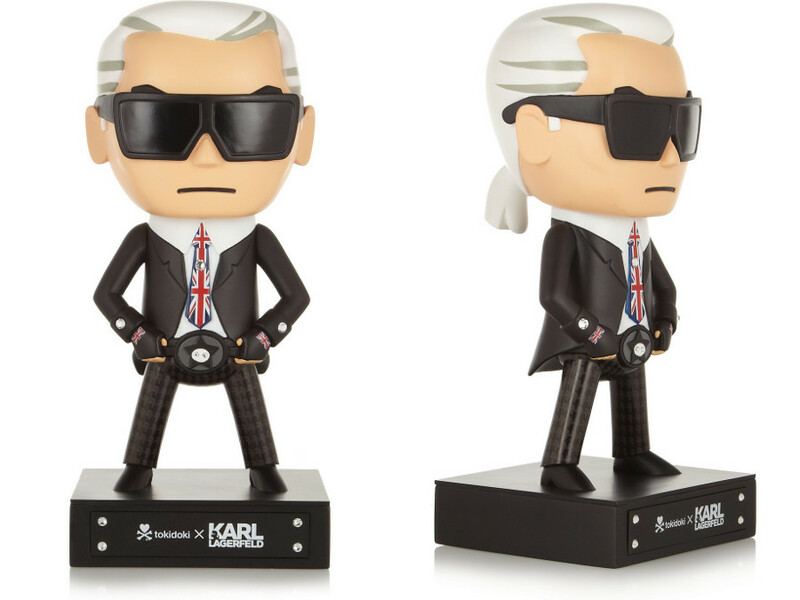 Tokidoki has released a number of limited edition figurines in the image of Lagerfeld. The above is my favorite. These figurines cost $190 each (available here). 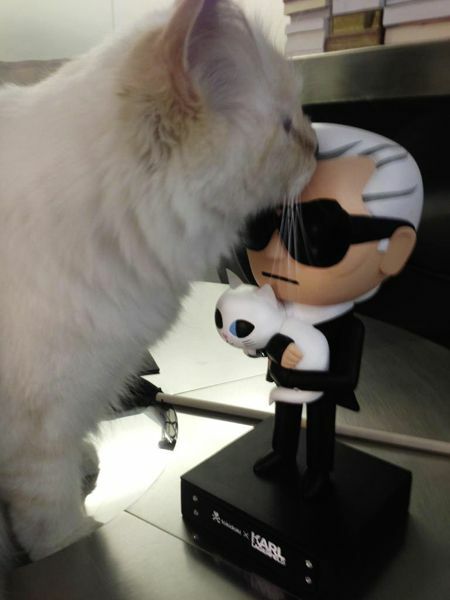 Here is Lagerfeld's beloved cat, Choupette, showing some love to her daddy's figurine. 2009 was Barbie's 50th anniversary. 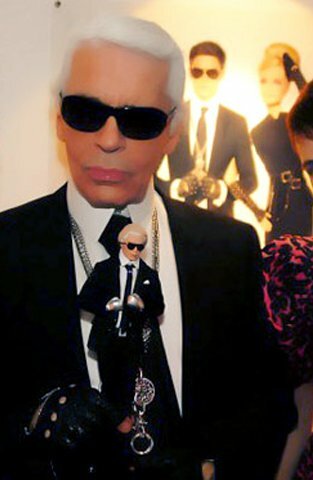 Karl Lagerfeld helped with dressing and styling some of the collectors Barbies of that year. 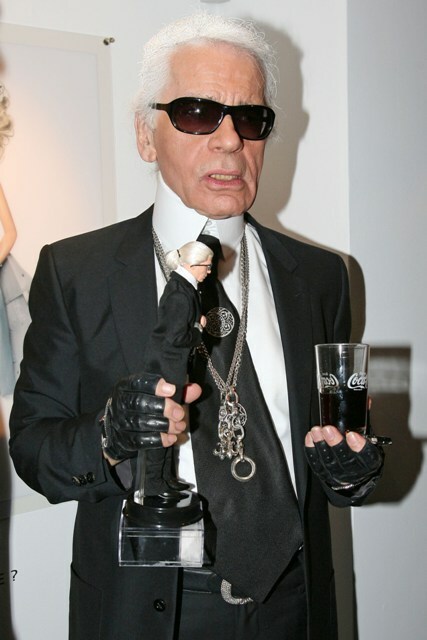 On the 50th anniversary showing, Lagerfeld was presented with a Ken Lagerfeld. I do not believe that this doll was ever released for sale. How can this Ken doll not make him smile?